Slice orange; place slice under ring cutter; press down and lift up. Orange slice is peeled and rind-free, creating the perfect orange ring. 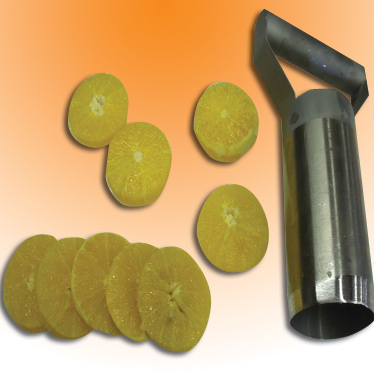 Saves labor while reducing fruit texture damage and juice losses.